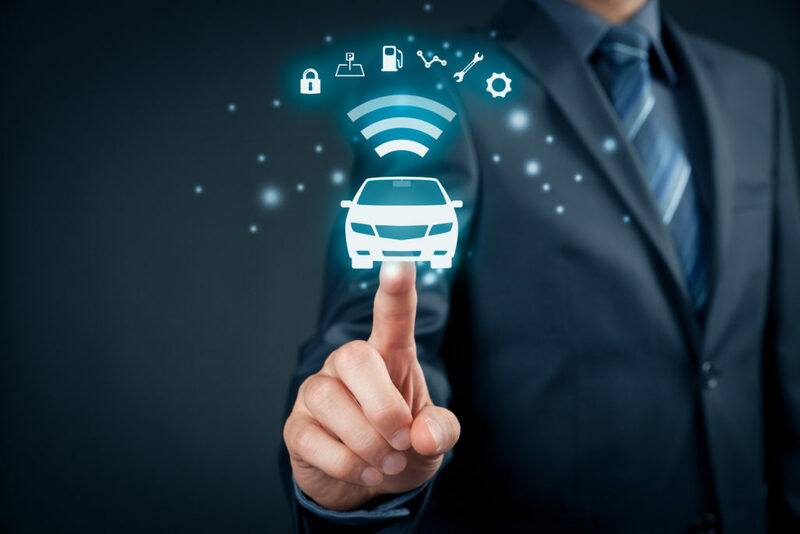 Technology is booming throughout the automotive industry, creating a rapidly changing future with which the aftermarket needs to come to terms. Critics, however, say autonomous vehicles and connected cars are too quixotic for the real world. The technology is too far away and safety concerns outweigh potential benefits. But one trend that the aftermarket should be getting itself ready for is predictive analytics. “The benefit is profound as to what it could do to the supply chain,” said Shiva Bhardwaj, chief executive officer at Pitstop, a predictive analytics company. To put the technology simply, predictive analytics tries to figure out what will go wrong with a vehicle and when. 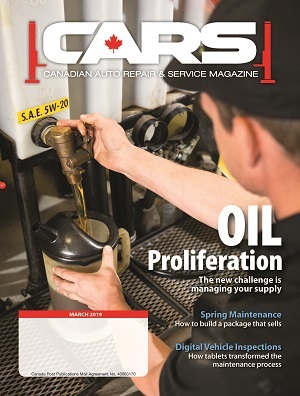 Say fuel pumps are failing in a certain vehicle in the Greater Toronto Area at a rate out of whack with other geographic regions. A shop knowing these parts are failing means it can contact customers who own that vehicle and let them know of the problem. That increases customer loyalty and the future work order. A jobber can know that it needs to stock more fuel pumps for that vehicle and fewer of others that are performing fine. That means having the right product – and the right amount of it – on hand for when the shop customer needs it. For a supplier, it can find out why that problem is happening and make changes to the part to avoid future issues. The result is a better performing product and less money spent after the fact trying to figure out what’s wrong. 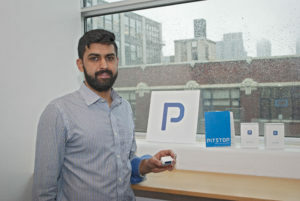 CEO Chiva Bhardwaj shows off the Pitstop device that collects data for its predictive analytics program in his Toronto office. Predictive analytics connects everyone in the aftermarket to better serve the consumer. “Connectivity is going to be the game changer,” said Kumar Saha, research director at consulting firm Frost & Sullivan, adding that as competition stiffens from dealers, predictive analytics can be what keeps the independent aftermarket competitive. 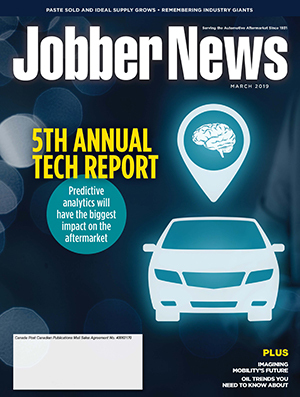 New technologies like predictive analytics open the doors to new opportunities for the aftermarket and also allows for the consumer to better maintain their vehicle – a win-win all around. Jean-Francois Champagne, president of the Automotive Industries Association of Canada referenced the $15 billion in underperformed maintenance that exists. 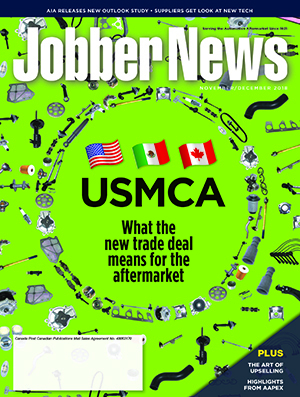 There is plenty of money that could flow into the aftermarket if drivers were more aware of the work needed to be done. “It also provides the consumer with peace of mind by being able to diagnose in advance, rather than having to react to their car not working anymore with no notice,” he said. Technological advancement has pushed the massive growth of many industries and automotive is poised to be next. The software works by analyzing telematics data – whether from a vehicle already equipped with the equipment to do so or a dongle plugged in the OBD-II port. Partnerships with shops are also helping with data collection. When a work order is created, that information is fed through Pitstop’s program. “Our algorithms are literally learning from the technicians. Whatever the technicians are putting into the work order and invoicing customers, that’s what these algorithms are picking up on,” Bhardwaj said. Data is collected on every bit of information in the vehicle, from odometer info to driver profile. But collecting data is one thing. What to do with it is something different. “How do you take that information to create action that’s going to actually give the customer a better experience and help the service network service customers in a way where they’re happier and they willing to commit to building the relationship?” Bhardwaj asked. Pitstop is a predictive analytics company that started in 2015 while its CEO Shiva Bhardwaj was a student at the University of Waterloo. Upon graduation, he applied to Techstars, which helps startups get seed money. Fewer than 1 per cent of applicants are accepted, according to the group. Bhardwaj met with the likes of General Motors and Chrysler to pitch his idea. They liked what they heard. The company initially catered to dealerships and service shops. In 2018, the company expanded to include the supply chain thanks to the type of data being collected. The company even caught on to a problem with one carmaker’s transmission control module. The vehicle was just a few months into the market when the problem was discovered but the carmaker waited six months to make the recall. Bhardwaj estimated that if the recall was made earlier, only 20,000 vehicles would have needed to be recalled instead of the 150,000-200,000 that were on the road a few months later. Bhardwaj grew up in his father’s service and repair business in Toronto where he developed an interest in electronic issues in vehicles. 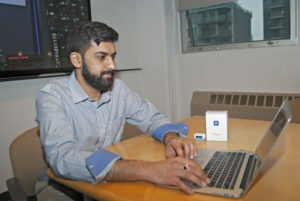 He graduated in electrical engineering at Waterloo and spent time with technology company Nvidia, which makes chips for the automotive industry. Having worked in a shop and now for a tech giant in the automotive industry, he saw a gap between what the industry was becoming and where it is now. “The aftermarket doesn’t get access to all this. And then I realized there’s a hole and that’s a hole that my experience can probably help fill and make a difference,” Bhardwaj said. Pitstop combs the data to look for something out of the ordinary. As noted in the example above, it also goes through service records and looks for patterns. One type of car having the same issue with different owners means there’s a problem that needs to be fixed. Predictive analytics is like having an army of excellent technicians. 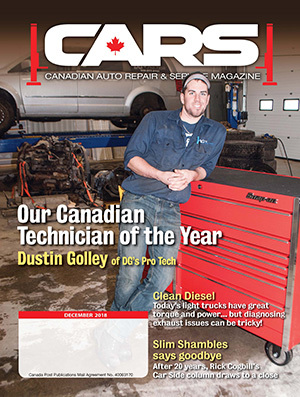 A shop may have that one pro who always knows to check for specific issues in Ford vehicles. So anytime a customer brings in their Ford for service, the tech automatically checks those five common issues. In essence, he is performing human predictive analytics. But, if a Toyota comes into the shop, that level of expertise may not be there. That’s where a full predictive analytics system can come into play – techs can get ahead of the game by knowing the issues beforehand. Bhardwaj is the son of a shop owner. Growing up in the business, he’s intimately familiar with the challenges pros like his father face, like being stereotyped as crooked. But predictive analytics can help to change attitudes to build that trust. If the software is telling the driver that there is or could potentially be a problem, that he should book an appointment with a recommended shop because it has great reviews from other customers and that the job should cost a certain amount, then barriers are broken down. He told a few stories of customers who use telematics and had issues with their vehicle. One customer got a warning that his car was going to overheat. Sure enough, it did but the driver was able to pull off the road in time. Another had the TPMS light come on and Paul was able to check that one tire was running low. A customer had driven to Montreal when then check-engine light came on. Paul received a notification that told him the problem was the oxygen sensor and the customer could make the drive home safely and visit him when convenient to get the issue fixed. Anyone who manages a fleet of cars – like a jobber’s delivery vehicles – would also see invaluable benefits. “When you have vehicles on the road that need to deliver things from point A to B, if that car gets stuck then your costs include the cost of the driver and reduced satisfaction of the customer who is waiting for a shipment,” Bhardwaj said. Predictive analytics is still in the early stages. The technology is new and the amount of information isn’t vast enough. Pitstop currently analyzes about 160,000 vehicles all over the world. Once that number hits the millions, then expect capabilities to grow by leaps and bounds. People are also skeptical of new technology and plugging a dongle into their car. It’s like when cellphones came out. Today, just about everybody has one. Another significant challenge will be, essentially, having the Right to Repair fight all over again. Except this time, the battle will be over data. “It’s going to be aftermarket vs. OEM with this new technology,” Bhardwaj said. The AIA is ready to fight for the aftermarket in that regard. “Access to vehicle data is a very important file for AIA. We do have concern that lacking direct access to vehicle data will impede the sustainability of the aftermarket,” Champagne said. Bhardwaj also used the example of OBD-II. Shops wouldn’t invest in diagnostic technology until OBD-II was mandated. With predictive analytics, once an agreement to share data is put in place, then the industry will feel more comfortable investing. Another challenge for the technology is parsing through all the data telematics collects and figuring out what is relevant. Think of it as modern-day security cameras. Instead of recording non-stop, it will start up once something comes into its view. As of now, telematics are collecting every piece of data possible. “Instead of collecting all this temperature, fuel and GPS data from the car – how do you pick out what actually matters so that the dealer can help their customer service their car or a fleet manager can make sure his fleet is on the road with the highest uptime?” Bharwaj said. Even so, there are still immense benefits by getting on board now. The earlier, the better for jobbers and shops in particular. The impacts can happen quickly.